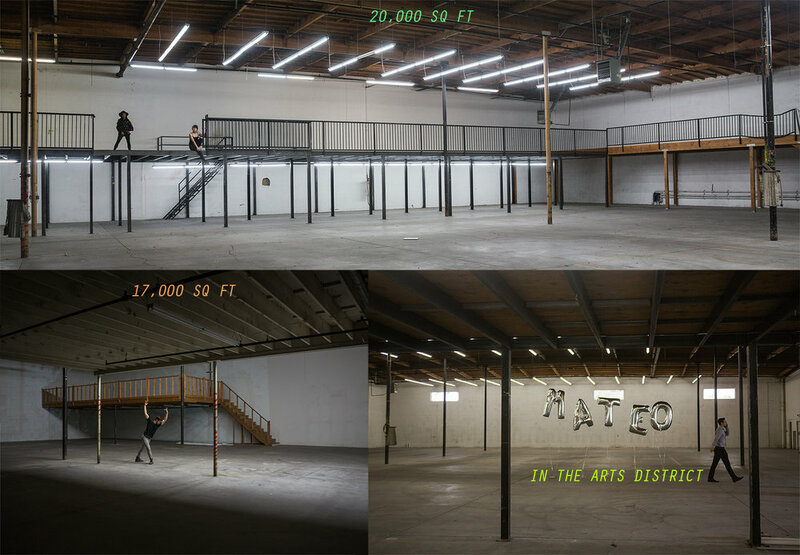 Major Properties, a commercial and industrial real estate company, contracted me to "UX" a unique Pop Up/Open House event in a 48,000 square foot industrial warehouse available for lease in the Arts District, Downtown Los Angeles. This is 634 Mateo St.
First thing's first, this idea was all Brad Luster's, President of Major Properties, and all around awesome guy. He contacted me having had this plan for several years, but never the platform to do it. When his clients, a family of real estate investors, contacted him looking for a leaser for Mateo, Brad knew what to do to make a huge impression of this building's potential. He wanted to fuse the traditional Open House approach with the LA Pop-Up trend. The trick was coordinating municipal local businesses, burgeoning artists, and food essentially for trade of publicity at our event. I came in with exactly one month to bring Brad's idea together. I started on April 19th, and the event was on May 19th, 2016. These are the posters I made to advertise the event. They were used on our Facebook event page, Eventbrite, the DT News event calendar, e-mailed to Major Properties client's and partner's, and printed and handed out door-to door throughout the Arts District and parts of Los Angeles. Our turn-out expectancy was 150-300 people. In total, 405 people attended our event. The following are more detailed descriptions of the UX phases. Often, these are iterated upon throughout the design making process. This is also known as the Agile Methodology. Mateo in total is 48,000 square feet, and is divided into two warehouses. Side A (closest to Mateo St.) is 17,000 square feet. Side B is 20,000 square feet. Both sides have second floors and mezzanines. 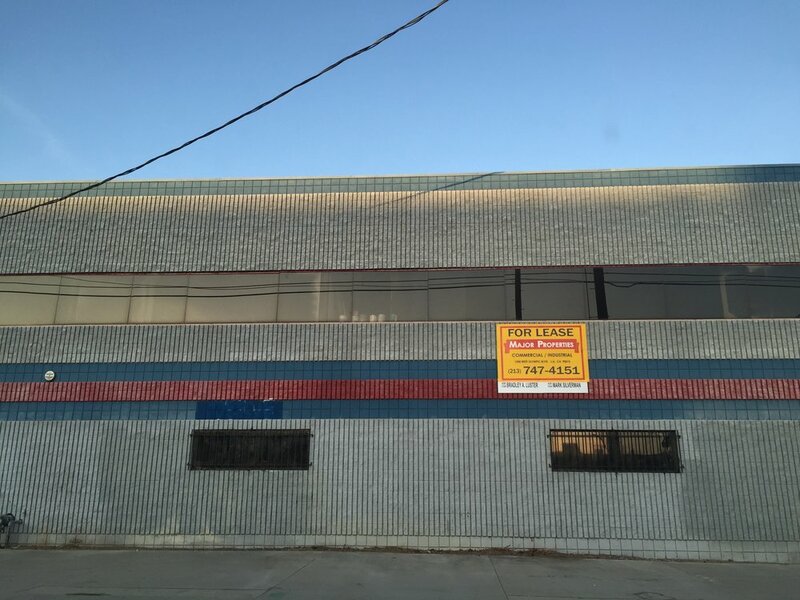 Both were available to one lessee or two lessees could split the industrial space. The building includes parking for 150-200 cars. •Brand an online presence that attracts a range of potential leasers who's businesses fit with the neighborhood's culture, ie. 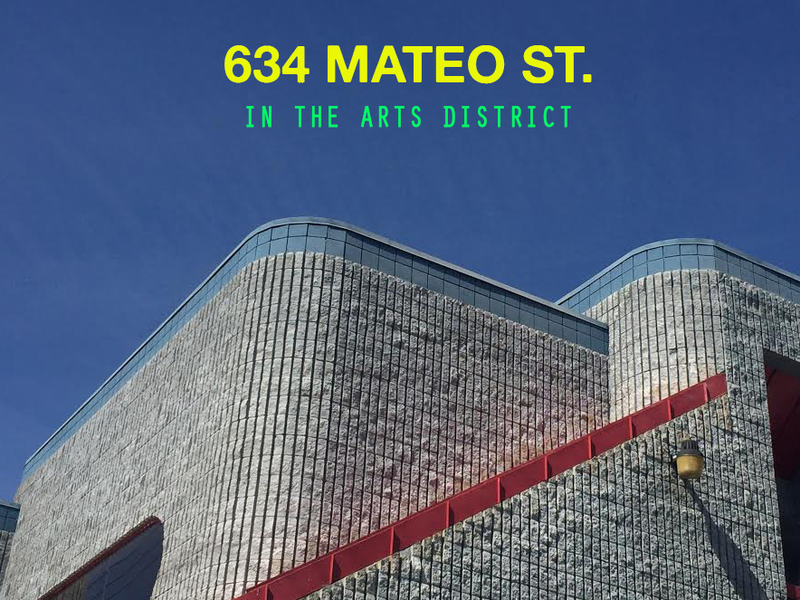 tech start-ups, creative rental studios, incubators, film production studios, galleries, museums, local colleges, magazines, etc. 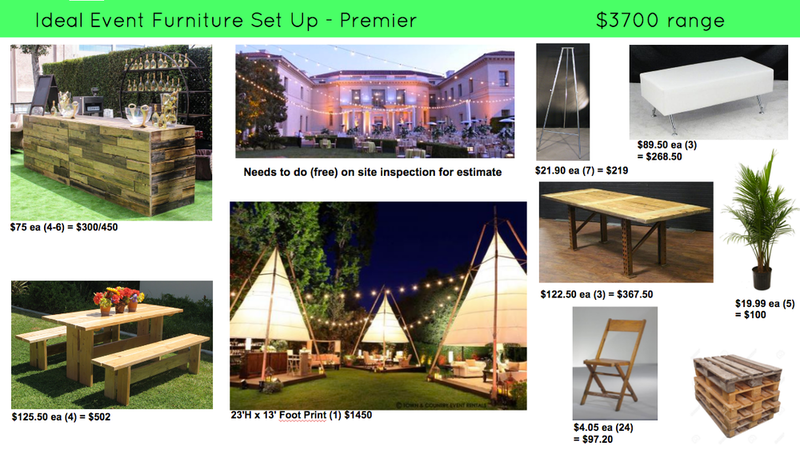 The following images are our inspiration board for the event's aesthetic and budget breakdown of rental furniture. We rented all our furniture from Town & Country. Essentially our entire budget was used on furnishing, decoration, and paper flyers.